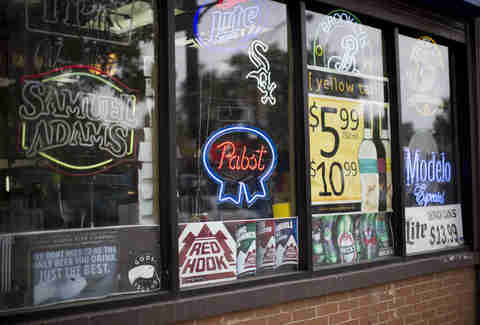 The Chicago bodega: the store you always pass by, but never notice... until it’s midnight and you need toilet paper, booze, mixers, or condoms (or all of the above). 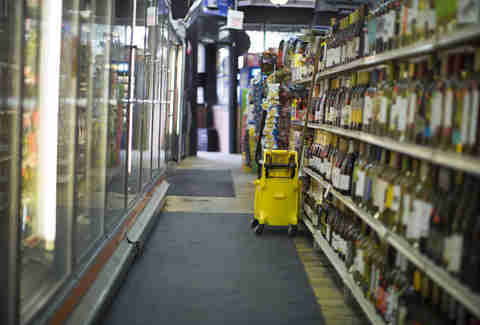 Bodegas are like the ex you can’t -- or won’t -- quit. They’re convenient, comfortable, and almost always there for you, except when they decide to close early or don’t even open at all. 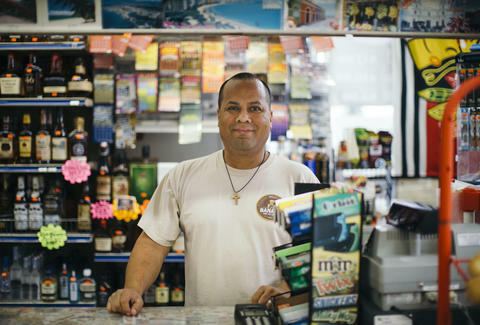 Here are 15 reasons to celebrate the independent spirit of the bodega. It’s a mini escape into a friendly little world, paced much differently from the day-to-day grind. A world where the "L" didn’t make you a half-hour late to work. A world where you actually get a seat and it is not mysteriously wet. A world free of loud distractions and full of weirdly bruised produce, alcohol, and loud music. You know a bodega when you see a bodega. Whether it’s the bars in the windows, the neon signs advertising cheap beer, or windows completely covered in price advertisements, there is absolutely no mistaking a bodega for anything else. Hey, I don’t always smell the best either. 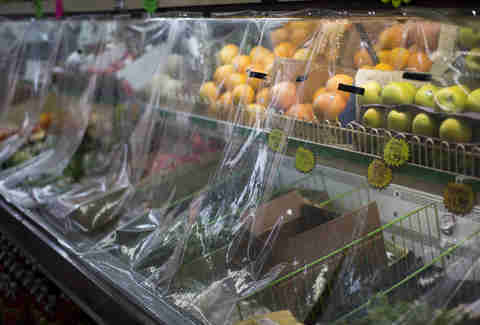 Stepping inside of a bodega can take your breath away. Did you just step into a well-used gym bag with a floor covered in very stale beer? Once your eyes stop watering, you’ll see that you haven’t. Let’s chalk this one up to the plumbing. Accommodating the “It’s the day before payday” half-pint of Seagram’s phase, the “My snooty friend is visiting so let’s make them try Malort” phase, and everyone’s personal favorite, the “I just got paid -- fancy tequila’s on me” phase. Get down and dirty with Natty Ice or explore the store-length shelves of surprisingly good craft beers. It’s the adult version of a Choose Your Own Adventure book, maybe Booze Your Own Adventure? The butcher is yelling to the cashier. The cashier is trying to get the attention of the stocker in the cooler and customers are joining in. Everyone in the store is within shouting distance and it’s a beautiful, chaotic mess of conversations and languages. Bodega, you have replaced going to the grocery store at all. And while I could walk down a few blocks to Humboldt Park and buy cheaper melons and cilantro from a man out of his truck, I will always choose you, my darling bodega. Convenience is king. No sanitation code for grilling? No problem! It won’t stop you from ordering drool-inducing pinchos here every time the Puerto Rican Pride Festival comes along. The door is always open and the city is dusty. The bodega gets busy. Dusting isn’t everyone’s forte. Choose your justification, wash that dust off, and carry on. Good for the spirit, not so good for nursing a hangover. Charming either way. And when it isn’t merengue, then it’s the Bears, Hawks, or Sox. The taste? Phenomenal. The cooler is the bodega’s hangover savior, much like the Tamale Man is many drinking Chicagoans' patron saint. Sure, the chorizo looks as if it has begun to cook through the glass in the cooler. Is that chicken grey? Doesn’t matter -- you’ll take a pound of each and somehow dodge food poisoning. 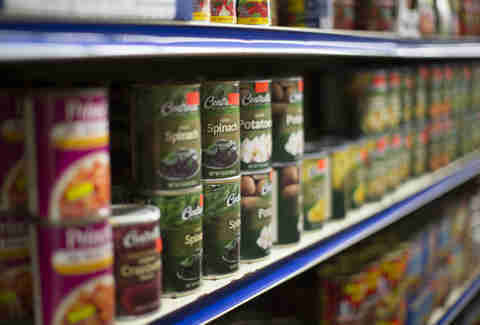 Which makes purchasing a lot of things much more dicey, like grey chicken.